There is such a broad interplay between the mind state and the body that many eminent researchers do not even consider the two in isolation any more. The term ‘body-mind’ is coming into common usage and has applications that we as health and fitness professionals need to be aware of. We help people to change their bodies, change their state of health and literally change their lives through the guidance, coaching, training and information that we provide them. Typically in the fitness industry this process of change has been very ‘body’ driven. We apply plans, information and advice with our clients and patients and this allows the physical changes that in turn improve confidence and feelings of self worth as well as improvements in cognition and brain function. But as we all know there is no small amount of counseling required to be an effective coach, trainer or health practitioner! We as practitioners cannot force change. We can merely provide the information and the environment in which change can occur. Lasting changes and the reaching of goals result from: belief in oneself, belief in the ability to change and actually committing to actions that both change behavioural patterns and lead to real changes in ones very being. It is becoming patently more evident over time that the process of change is not merely an ethereal concept of thoughts and emotions. Patterning of behaviours is as much physiological as what could be termed ‘psychological’. The areas of study concerned with psychology, neurophysiology and gross physiology are converging at a rapid rate! Everything that we have ever been exposed to conditions us in some way. We condition ourselves into patterns of actions based upon all the relationships that we have been exposed to over our lifetime (and not just with others but with the environment around us). This conditioning determines much of how we act and we can end up reacting to situations instead of responding in ways that will lead us closer to the life that we want to be living. This repetition of acting trains us to act more and more in that fashion! We create neural networks and pathways associated with that thought/emotional process and it becomes our natural set point. This has enormous ramifications for what we see as ‘personality’. We all have genetic coding that at least partially determines personality and makes us more prone to certain psycho-emotional states. But we reinforce this by repeating actions over and over again. Very much like what happens in strength or sports training…. For what is strength or sports training but learning a new skill? We become better at anything we do through practice and repetition. And the reason we become better at sports and become stronger in strength activities is not solely because of muscular changes…in fact in studies of strength it has been shown that the physiological changes in the muscle are only responsible for about 1/3 of the increases in strength – the rest is due to the creation and ‘localisation’ (where our neural networks become more specific and efficient) of the neural connections in our brains. Where patterns that become strengthened are negative ones it leads us into poor health and lowered life satisfaction. Addictions are the most obvious examples of this. BUT we can change the way we act, just as we can change how we move and how strong we are. It is harder to do it as adults because we have already ingrained and patterned much of the neural ‘circuitry’ of the brain but it is still very possible (Dr Norman Doidge illustrates many fascinating examples of adult ‘neuroplasticity’ in his book “The Brain the Changes Itself”). Even in the case of addiction to cigarettes and hard drugs a recent article in ‘Psychology Today’ states that “more people quit addictions than not”. The majority of people addicted to a certain substance give it up! They show extraordinary strength and they utilise their power of choice and free will to not be a victim. The article goes on to say that most of them quit without the help of groups or aids…in other words they do it themselves using their own resolve…they CHOOSE to live a better life! That we have free will, choice and inclination gives us unlimited power to change our life and health situation. In fact our choices really are bounded only by imagination. By recognising why we act in the way we do now, we are able to see, moment by moment when we are reacting to situations in a way that is pushing us further away from our goals rather than responding in a way that will lead us closer to them. In ‘Choosing You’ I discuss how to use mindfulness and meditation to improve our general awareness so that we are able to see in those moments when we are about to react rather than respond to situations. We develop the faculty of ‘critical awareness which, in a nutshell is the means by which you can evaluate why you are doing something and perhaps most importantly whether you want to or should be doing it! When we ‘catch’ ourselves acting or about to act in a way that is not conducive to the goals we have set, and to becoming the person we want to be, we are able to immediately change course. By developing our faculty of critical awareness through meditation and mindfulness we can often see the rationale, the motivation for the way we act, even as we are doing it! We can see the events in our lives – past situations, fears and insecurities that lead us to act. Knowledge is power and by knowing the basis for our actions, by seeing the action taking place and knowing where we want to be going, we can change course and create a different path through the way we act…instead of simply reacting. When we realize that we have the power to change not only our actions, but also our brains and our bodies and our entire being through the choices that we make and the faculties we develop to allow ourselves to be more aware it opens up an entirely new perspective and direction in life. One that leads more and more to the life that we want to be living! Life is a choice. We have in our possession right now, the ability to begin living the life of our dreams. We just have to CHOOSE IT! Many people have written to me asking for me to post the slides from my lecture at Can-Fit Pro 2009 "Training Movements Not Muscles". 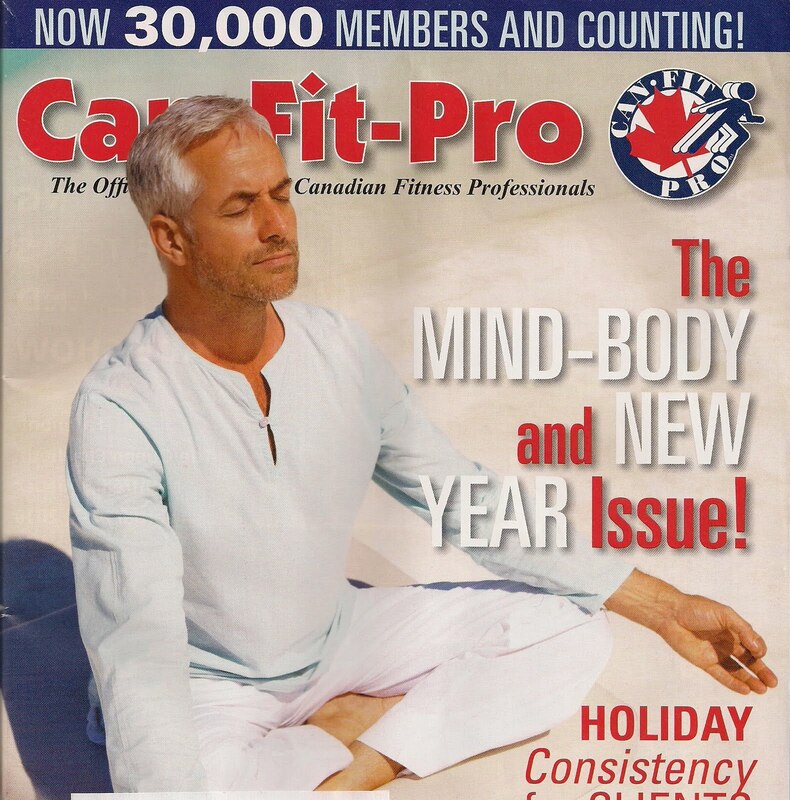 A real highlight in my busy fall speaking schedule was being invited to speak again at Can-Fit Pro's Vancouver 2009 annual conference over the weekend. I had an absolute ball last year presenting on Recovery Nutrition for Athletes after only a short time living in Canada. The response and feedback from that lecture was just so great that I was only too happy to speak again this year. I opened Sunday with 'Training Movements not Muscles' - a lecture on the neuromuscular basis of training. It was a real joy to provide some much needed research based strength training concepts!... And judging by the post-lecture questions the topic was one that both caused a stir and educated and inspired people! Thanks again to all the attendees of my lectures - I hope you were informed and inspired by my particular take on health, strength and total wellness! Please stay in touch. 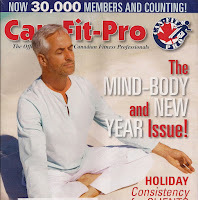 And thanks to Can-Fit Pro for giving me the chance to educate, to connect and to have a lot of fun spreading the message of positive, growth driven health and wellness. See you all next year!